C-Force has created an ultra-thin 4K USB-C portable display for under $100, enabling users to expand their work space easily and efficiently. Watch the demonstration video below to learn more about the portable display designed for your “digital space”. 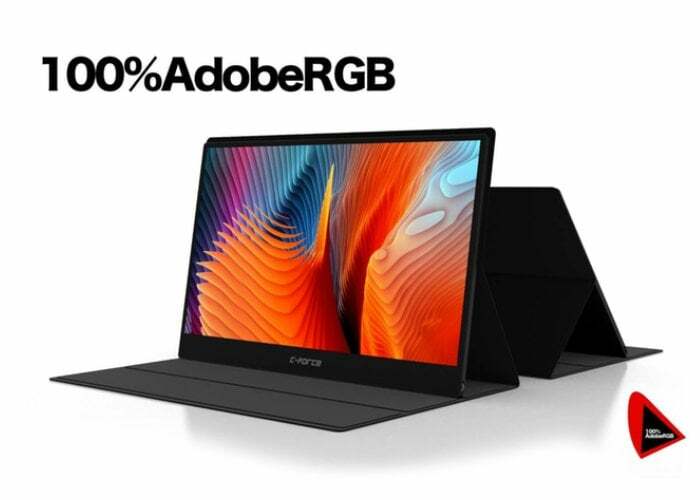 The C-FORCE CF015C USB-C portable display offers a great solution for creative professionals, enabling them to benefit from the 4K 100% AdobeRGB and SHARP original screen with 178 degree wide viewing angle. The ultra-thin portable design weighs just 700 g and measures just 0.6 cm in thickness and features SHARP’s original 15.6-inch 4K screen housed within a high-quality aluminium alloy case. “The compact screen of the CF015C is protected and held in place with hidden magnetic poles that allow users to adjust the angle of the screen according to their work needs. The elegant CF015C is ideal for use in combination with the compact Mac mini to create a multi-functional, highly sophisticated “Office PC suite.””.